Today, there is more pressure than ever for brands to stamp out their unique impression on consumers. A brand management software system can help ensure brands not only meet their targets, but develop the consistent and compelling material necessary to stay relevant in the growing digital market. 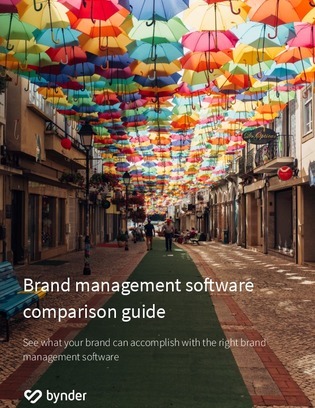 Managing your brand doesn’t happen in a vacuum, take the plunge and explore how a successful brand management software can separate you from the competition.